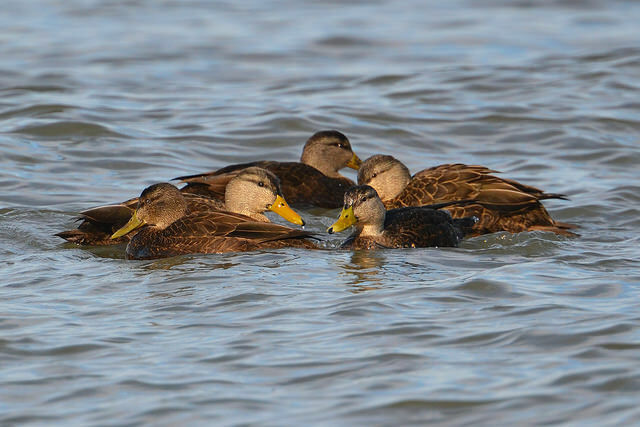 The American Black Duck is found in North America. 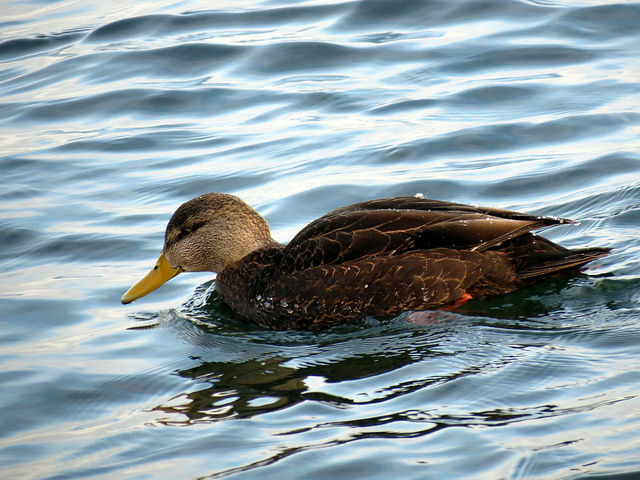 It's a very dark duck, male and female differ slightly. Sometimes they are seen in Ireland or England.